2018 / QDV Productions, Inc. 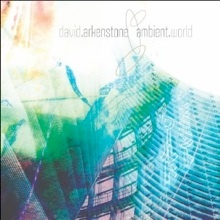 Anyone at all familiar with new age/ambient music knows David Arkenstone’s name as well as his music. With about sixty-five albums to his credit, along with music for television, films and gaming, Arkenstone is one of the few “superstars” of the genre and continues to be at the top of his game. 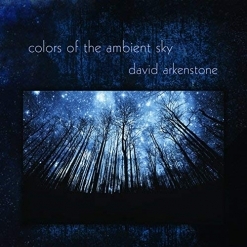 Arkenstone himself calls Colors of the Ambient Sky “ambient electronica combined with rhythmic elements that suggest mysterious nighttime moods under the stars.” For the first time in a while, this album is all Arkenstone - no guest artists. He continues: “Colors brings me back to a time when I worked a lot more with synthesizers and there was a new world of sound to experiment with. I recently tested out some new software synthesizers and emulations of classic synths and found a lot of inspirational sounds to play with, and that motivated me to write this new album.” Also an amateur astronomer, Arkenstone says that he recently noticed some colors in the Milky Way, and that’s what inspired the title of the album. 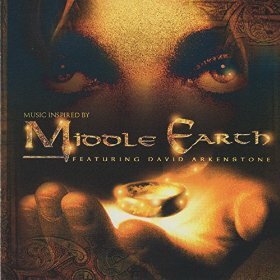 Some of the nine tracks easily fit into the “ambient space music” genre, but others have driving rhythms and/or simple but catchy melodies, hallmarks of much of Arkenstone’s music that have set him apart from other artists in the genre. Colors of the Ambient Sky begins with “Parallel World,” a piece that starts out in an ambient mode until the rhythm and percussion kick in about the 85-second mark. Once that happens, it’s impossible to sit still while listening! As your feet start dancing around, it’s easy to slip into a dreamy state and imagine yourself sailing through the sky, totally enthralled by all you see and hear. “Red Sun” shimmers and sparkles with sounds that dazzle the ears and ignite the imagination. “Starlight Starbright” has a strong rhythm but still feels very dreamy and magical. The title for “Darkness Descending” sounds like it might be, well, a little dark, but the powerful pulse that runs through it gives it a driving energy that is both upbeat and playful. “Rainbow Galaxy” is vast and wondrous with an easy, gentle melody that weaves in and out of the magical ambience. “Blue Lightning” is ambient space music at its best, suggesting endless deep dark open spaces and flying through the sky. It also has a very strong rhythm that gives it a sense of movement and adventure. “Lonely Satellite” makes me think of the movies, “The Martian” and “Gravity” and the overwhelming sense of isolation felt in both films. “Visitors” is much darker, more ominous and very visual - powerful stuff! “Ascension” soars heavenward without a worry or concern - all is well and we are one with the universe. 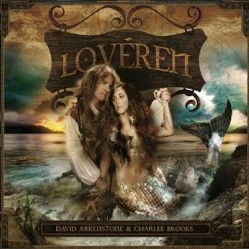 There is a very good reason why David Arkenstone has had such a long and successful career - and continues to do so! Colors of the Ambient Sky is a must-hear! It is available from Amazon, iTunes and many other online outlets.